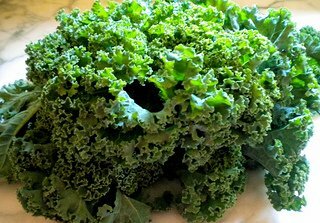 The kale nutrients that are most important to us who are concerned about macular degeneration are lutein and zeaxanthin. These carotenoids are powerful antioxidants that protect the macula - a tiny spot in the middle of the retina that gives us our straight ahead vision. But that's not the only health benefit of kale. This cruciferous vegetable is a rich source of calcium, Vitamins A and C along with the powerful macular degeneration antioxidants, lutein and zeaxanthin. As far back as 1994 a Harvard study was done by Dr. Johanna Seddon. The conclusion of that study was that those who ate at least 5 servings of dark leafy greens per week had a 43% lower risk of developing AMD than those who ate small amounts or none at all. As someone who has not included dark leafy greens like kale or collard greens in my diet, I've become quite convinced they are one of the most nutrient dense and beneficial foods to add to your macular degeneration diet. Vitamin E (Alpha Tocopherol), Thiamin, Riboflavin, Folate, Iron and Magnesium, Fiber, Vitamin A, Vitamin C, Vitamin K, Vitamin B6, Calcium, Potassium, Copper and Manganese. "Enjoy green leafy vegetables daily. Spinach, Swiss chard, and kale are three of the best." Did you know that these dark leafy greens have anti-angiogenic properties? Angiogenesis is the formation of new blood vessels. Both cancer and wet macular degeneration share this common but abnormal characteristic. Cancers grow blood vessels to feed the tumors while fragile, leaky blood vessels grow underneath the retina to "feed" a starving macula. According to Joel Furhman,M.D. the author of Super Immunity: The Essential Nutrition Guide for Boosting Your Body's Defenses to Live Longer, Stronger, and Disease Free the isothiocyanates (ITCs) can inhibit angiogeneis by reducing levels of vascular endothelial growth factor, or VEGF. Dr. Fuhrman lists kale, collards, and mustard greens as some of the top super foods for super immunity. The non-profit Angiogenesis Foundation reports "Numerous scientific studies have shown the cancer protective effects of increasing intake of cruciferous vegetables, including broccoli, cauliflower, Brussels sprouts, kale and cabbage. Among the beneficial chemical components of these vegetables is sulforaphane, a naturally occurring compound that suppresses both cancer cell growth and the growth of new tumor blood vessels (angiogenesis)." Kale vegetable is available from mid-winter to early spring in the fresh produce section of your grocery store. Kale is part of the brassica family, just like cabbage, brussel sprouts and collard greens. As mentioned before, the fact that this vegetable is low in calories and low in the glycemic index makes it an important vegetable if you are following an anti-inflammatory diet. Store your fresh greens in the refrigerator wrapped in a paper towel or in an open bag. The sooner you eat it the better, as it becomes bitter the longer it sits. I most often stir fry mine with a little bit of grapeseed oil and minced garlic. For those of you who don't love your green vegetables there are other ways to get the benefits of these nutrient dense greens. 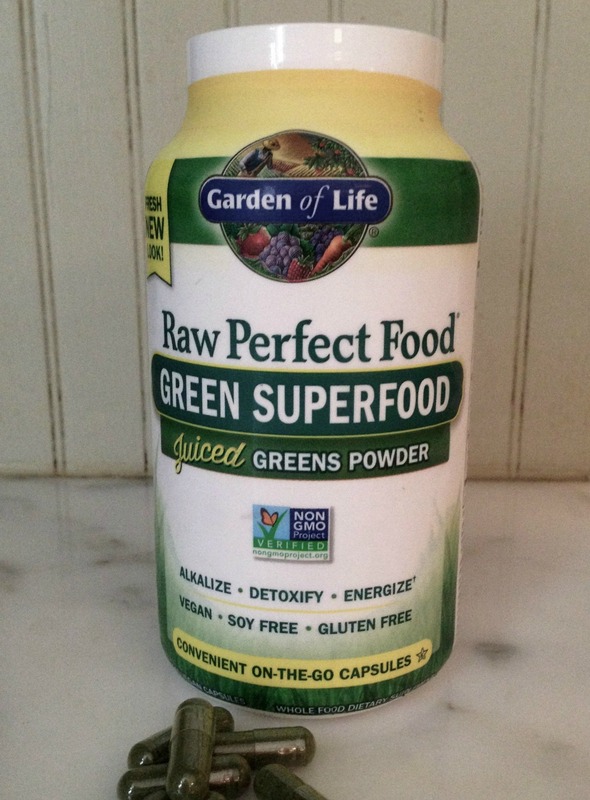 I like the Garden of Life Green Superfood capsules. These capsules contain 34 raw, nutrient dense, organically grown greens, vegetable juices and sprouts. To support the absorption and digestion of all these healthy vegetables, the capsules also contain probiotics, probiotics and enzymes. The recommendation is to take 8 capsules per day - but I recommend you start with less and then build up to that amount. This is the easiest way I have found to get my husband to get his greens. Despite my good efforts of education and meals that include lots of leafy greens, my husband is just not a fan of vegetables. Not one to easily give up, I came across a greens superfood powder on Amazon. What I liked about it is that it is all organic and uses 34 nutrient dense greens, sprouts and vegetables. It is not just dried vegetables, it is actually dried juice of barley greens, wheat grass, alfalfa grass and oat grass. It of course includes organic kale as well as organic sprouts AND a probiotic and ezyme blend. 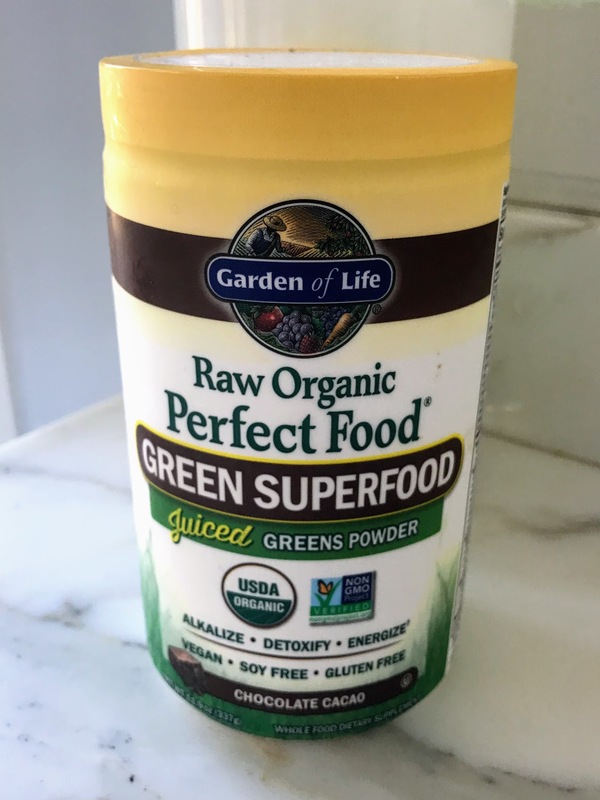 I am a juicer and love to juice my vegetables, but this is so easy and contains such good ingredients that my juicer has stayed silent for the last couple of months. It is so simple and even my husband will make his own healthy smoothie. One important ingredient when making smoothies, is your water. Not just any water. After our county reported over 60 water violations one summer, I knew I couldn't drink tap water any more. 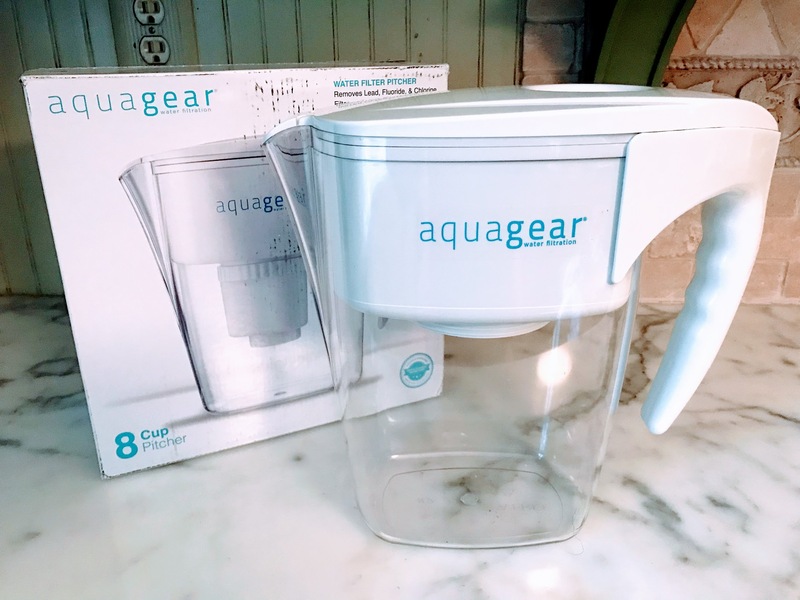 I've used several different water filters but have ended up with this one by aquagear. The water filter uses several different technologies that include Coconut Shell Granulated Activated Carbon with REDOX - what does that mean? Well, it means this water carafe filter removes and reduces hundred of contaminants from your tap water. The company states it reduces heavy metals, fluoride and chlorine and inhibits bacterial growth, algae and fungi. The filter is made is the US and is BPA-free. When I am traveling I just mix one scoop of the green mix with cold, filtered water and blend it with a little battery operated stir stick. At home we add a scoop or two to our smoothies of filtered water, ground flax seed, frozen blue berries, and a squirt of liquid coconut oil. Dr. Lylas Mogk, author of Macular Degeneration: The Complete Guide to Saving and Maximizing Your Sight, has included a whole chapter in her book titled, "New Gourmet Greens:Recipes for Your Eyes." 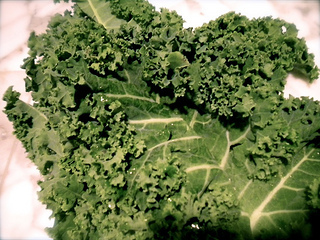 She finds kale nutrients found in dark leafy greens to be an important part of a macular degeneration diet. She writes: "I recommend eating exactly what the folks in Johanna Seddon's study ate. To do this, you need to have at least 5 servings of dark green leafy vegetables per week totaling 15,000 micrograms of lutein per serving." A serving is about 3 cups of uncooked greens. The best book that includes a wide variety of recipes to get you started incorporating kale into your recipes is Kale: The Everyday Superfood: 150 Nutritious Recipes This is my go-to recipe book to get more kale into our diet - from salads to smoothies.